I have been traveling to the Riviera Maya since 1998, usually on business. I have done almost everything there is to do there at least once. 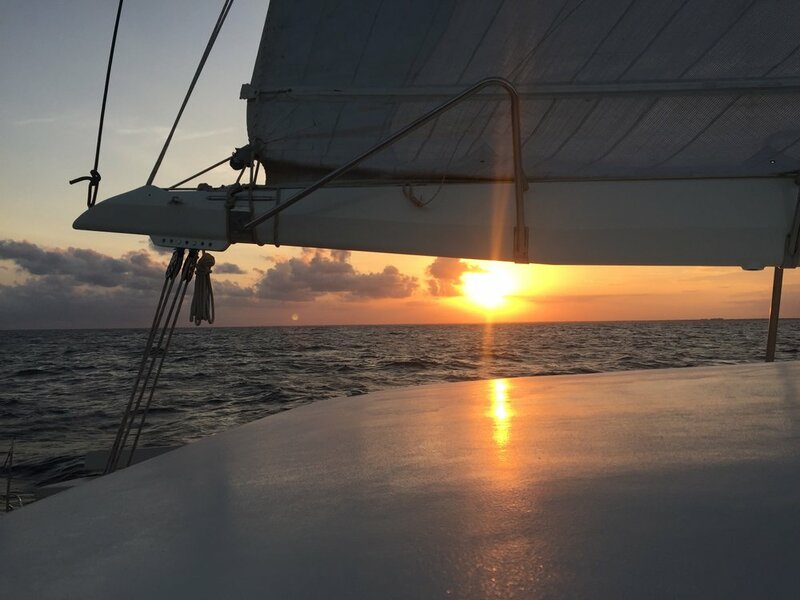 For my husband’s 65 birthday I decided to be a little selfish and do something that was still on my bucket list: sunset sail along the Riviera Maya Coast. 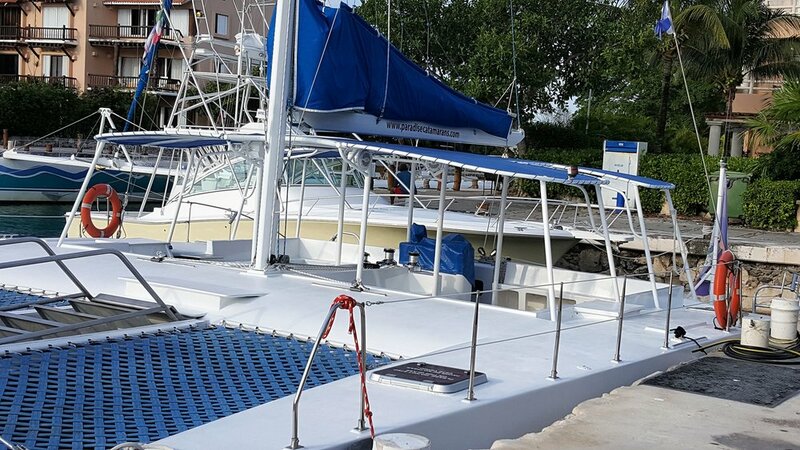 I chose Paradise Catamarans http://www.paradisecatamarans.com/. From my first contact with them I knew I had made the right choice, they were helpful, pleasant and extremely professional. The best thing was that we were able to book the boat for just our small group of 10 so we didn't have to share the experience with strangers. 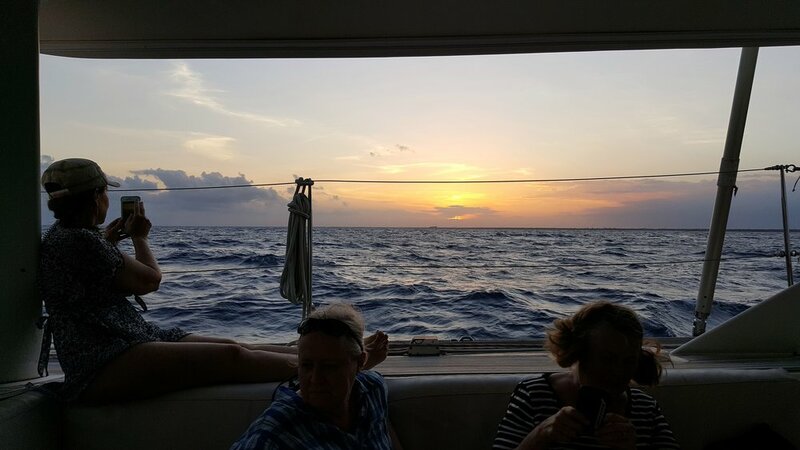 We were booked on the Paso Doble which is a 46 foot catamaran, built in Antigua in 1998. It is available for 2, 4, and 6 hour tours and you can add snorkeling to your package. We just wanted to be on the water and relax and watch the sunset. Jason, the General Manager, greeted us at the docks and when he said he had a surprise for us his smile told us it was going to be special. Much to our surprise we were upgraded to the newest catamaran in their fleet the Pacific Breeze. As we walked by the Paso Doble on the docks we all thought it was a gorgeous boat, but as we went a little further and saw our catamaran our jaws dropped. 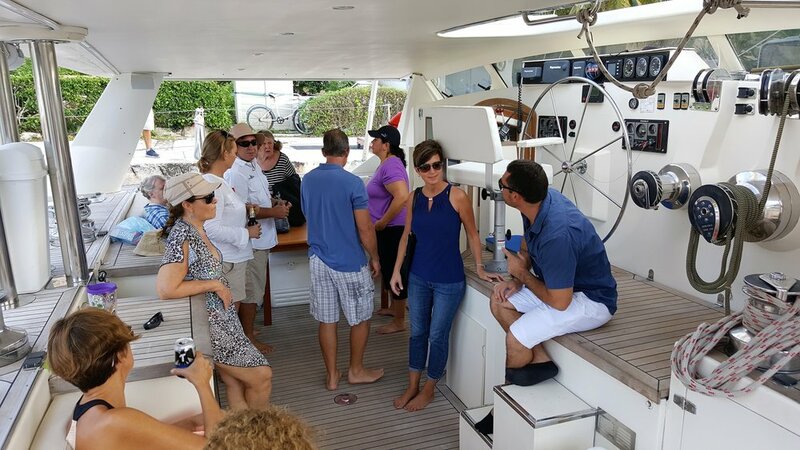 Yes, Pacific Breeze is that impressive, covered in gorgeous teak it is a 75 foot catamaran built in St. Kitts in 1998. Paradise Catamarans acquired it in Grenada just this year. The Pacific Breeze is gorgeous. This luxurious sailing vessel has 4 estate cabins , 4 heads, a full kitchen and a very large living space. There is plenty of sheltered space, semi sheltered and open deck space where the wind blows in your hair. It is available for 4 and 8 hour tours and, if available, you book overnights on it. 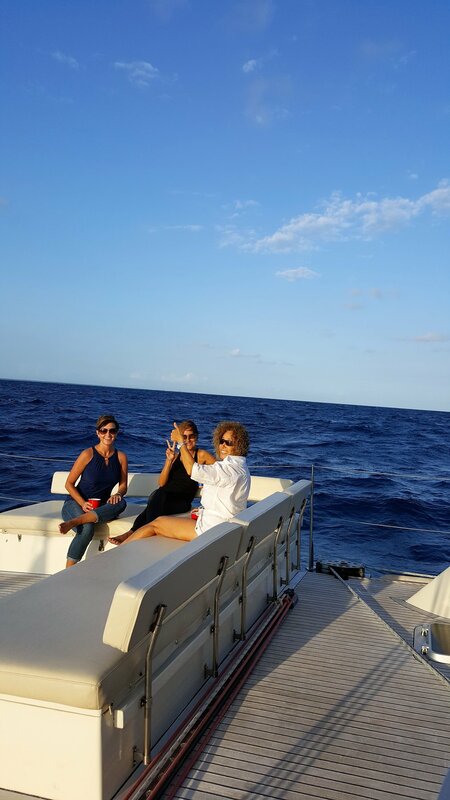 The crew on the Pacific Breeze were professional, personable and made our sail on her perfect in every way. Captain Diego handled her as only a seasoned seafarer can. I spent many years in California around some of the best sailors and there is a confidence that only the best have. They become one with their boat and that is exactly what Captain Diego did. Our host, Carlos went above and beyond to make every moment of our sail enjoyable and we felt as special as the boat we were on. Enrique and Jonathan our bartender and 2nd hand were also fabulous, crew befitting such a special lady as the Pacific Breeze. We took off our shoes, boarded the ship and immediately started poking around admiring the teak work and special touches. 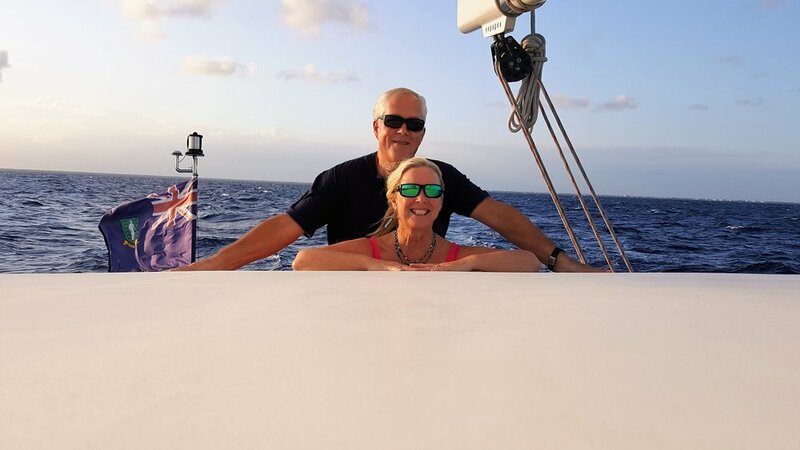 With music playing and cocktail in hand we headed out of Puerto Aventuras, raised the sails and had the most magical few hours miles away from the crowds, surrounded by the waters of the Caribbean. Within minutes we were all smiling that smile of pure joy and contentment. Mother Nature didn’t fail us, she gave us a beautiful sunset despite the clouds. As the sunset approached we were moved to turn off the music and just soak in the sights, sounds of the wind and water and smell of the salt air. Heaven on earth! 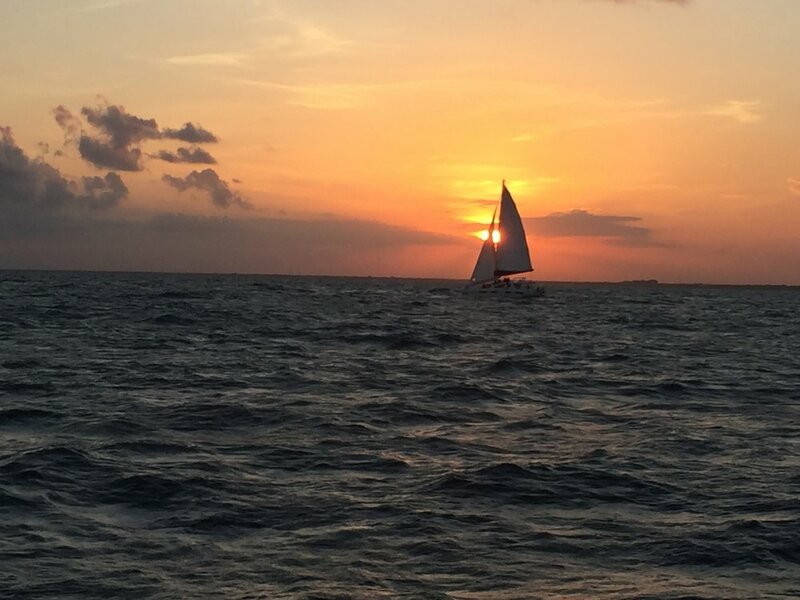 I can now check sunset sail in the Riviera Maya off my bucket list and put it on my MUST do list! The only down side was that it was over too soon. 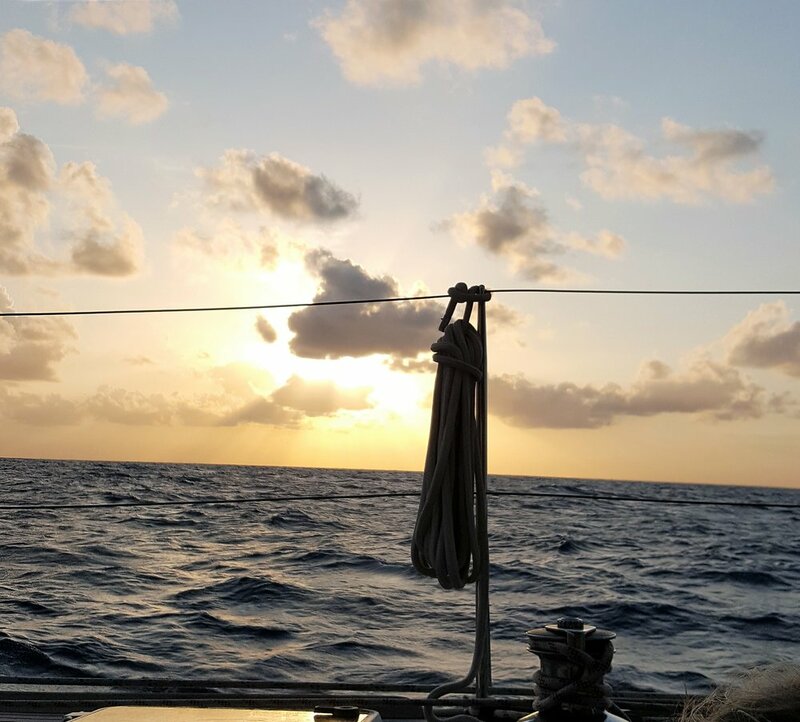 There was not a one of us that didn’t want to stay and keep sailing into that sunset to wherever the Pacific Breeze would take us! The Paso Doble is based in Puerto Aventuras, just south of Playa del Carmen. Pacific Breeze is berthed in the El Cid Marina in Puerto Morelos, just south of Cancun and north of Playa del Carmen.